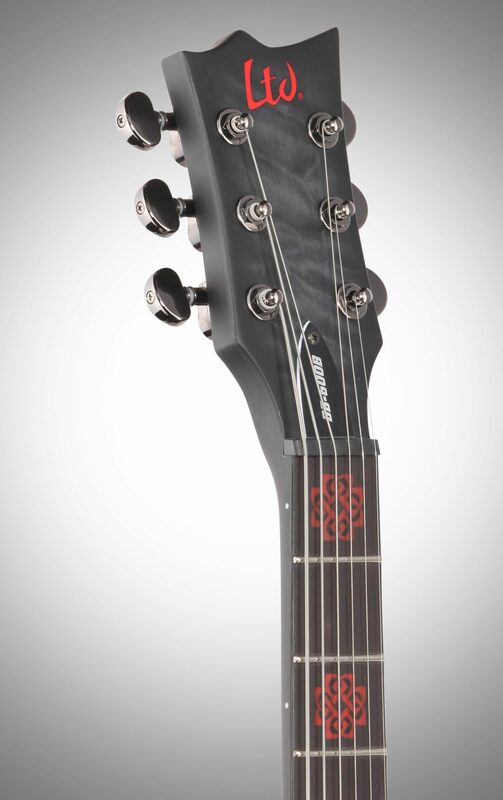 Ben Burnley is the founder of the eponymously-named rock/alt-metal band Breaking Benjamin, and his LTD Signature Series guitar, the BB-600 Baritone, is the driving force for this frontman's musical creations. 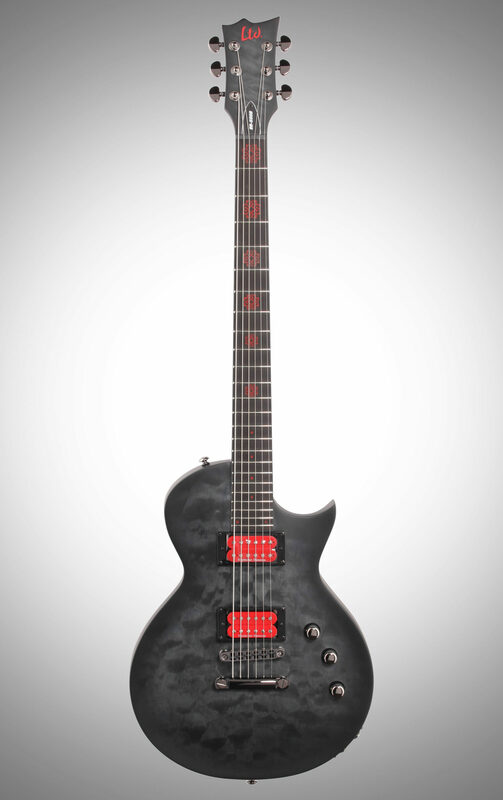 The BB-600B is one of the most versatile signature models ever made by ESP. 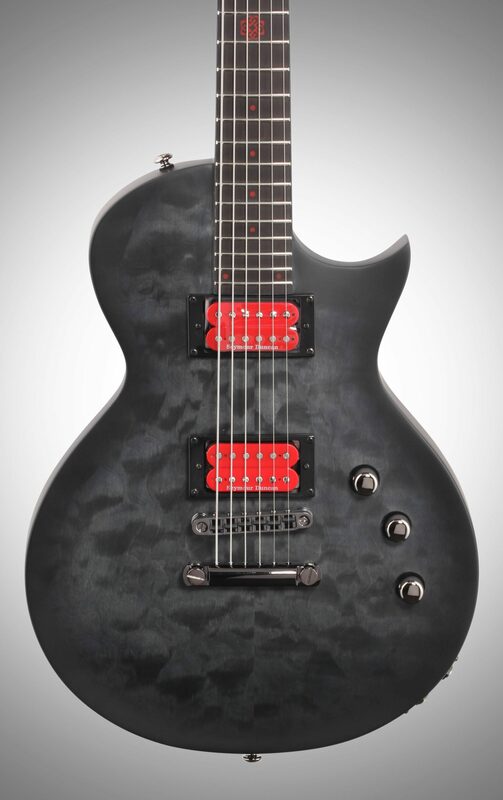 It includes two distinct pickup types: a pair of high-quality magnetic pickups (with a set comprised of Seymour Duncan '59 and JB), as well as a Graph Tech Ghost-Loaded Resomax NV bridge and tailpiece that offers an integrated piezo pickup. The BB-600B also includes two output jacks, allowing you to route the signal from the standard magnetic pickups to one amplifier and the piezo pickup to another for incredible flexibility onstage or in studios. 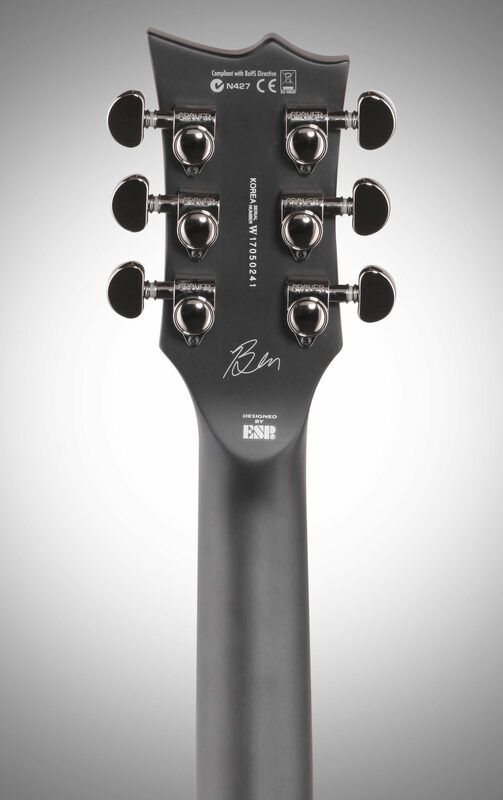 More than just sonically flexible, the BB-600B is an incredible instrument in other ways as well. 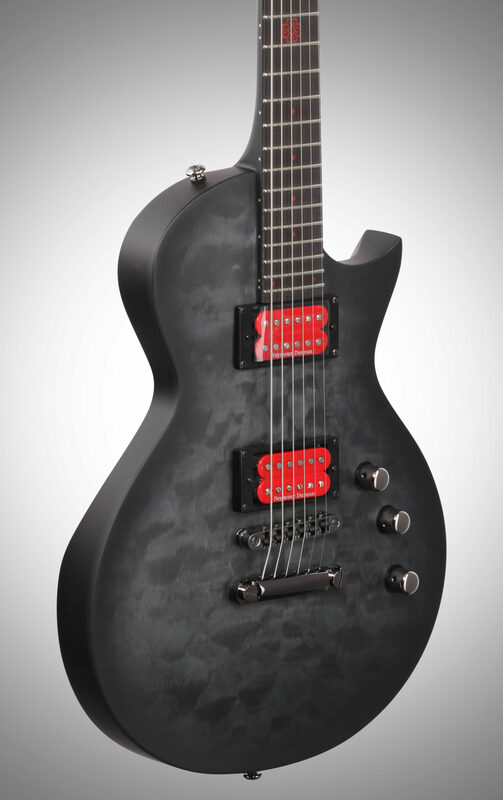 A single-cutaway Eclipse body style with set-thru construction, the BB-600B is a baritone guitar at 27" scale, allowing for downtuning without sacrificing ideal string tension. 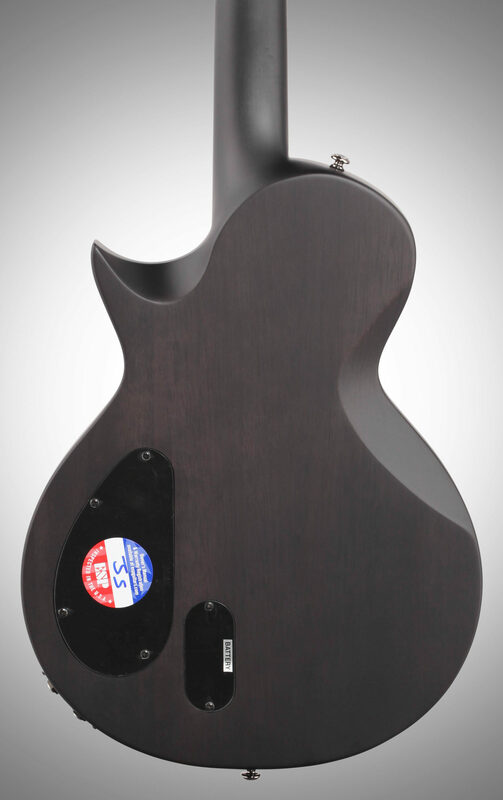 Its mahogany body is topped with quilted maple in an amazing See Thru Black Sunburst Satin finish. 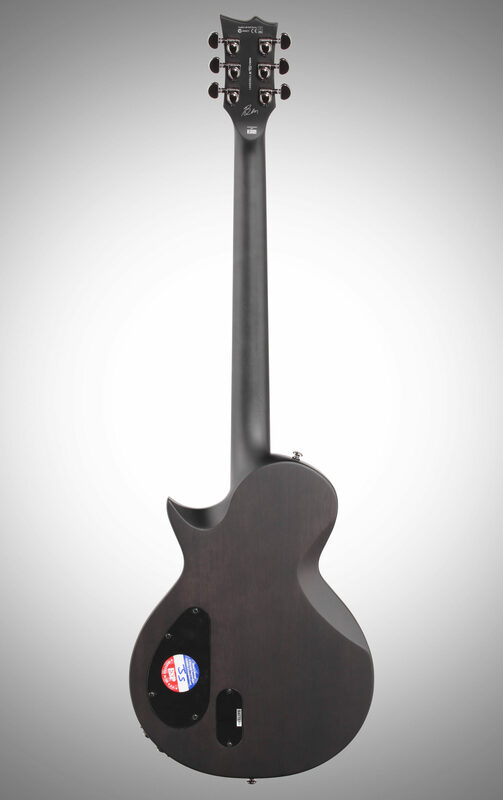 It offers a thin U-shaped three-piece maple neck for a comfortable playing feel. 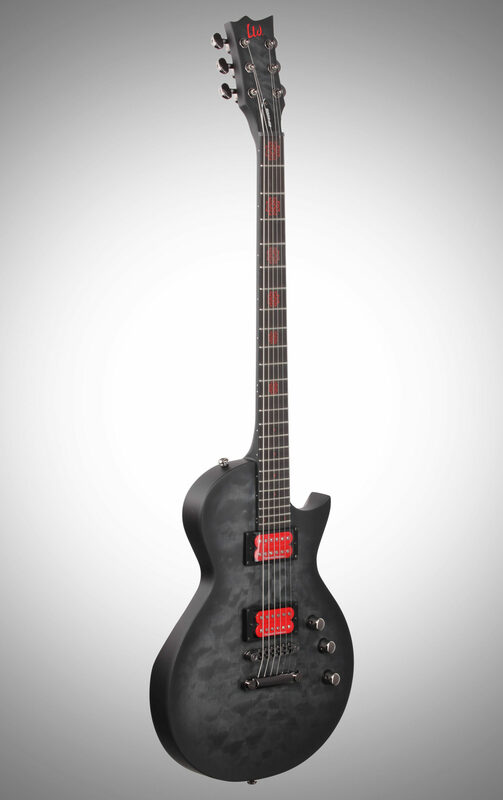 The aesthetic of this guitar is complemented with custom red pickup covers, red fingerboard inlays with the Breaking Benjamin symbol, and a red LTD logo.